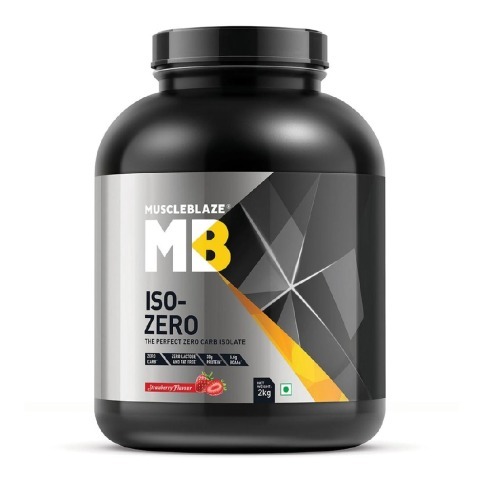 MuscleBlaze® Iso Zero was developed keeping in mind the specific needs of an evolved gym enthusiast, delivering the cleanest fuel to their body. 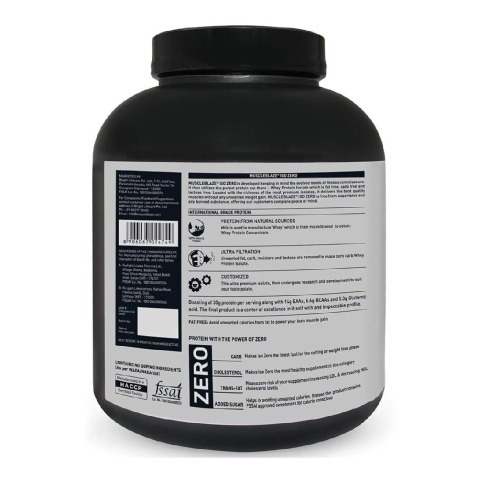 Powered by Zero Carbs, Zero Fat, Zero Lactose and Zero Cholesterol, the supplement delivers 30g of Isolate protein per 35g serving helping the consumer with clean an lean muscle gains. 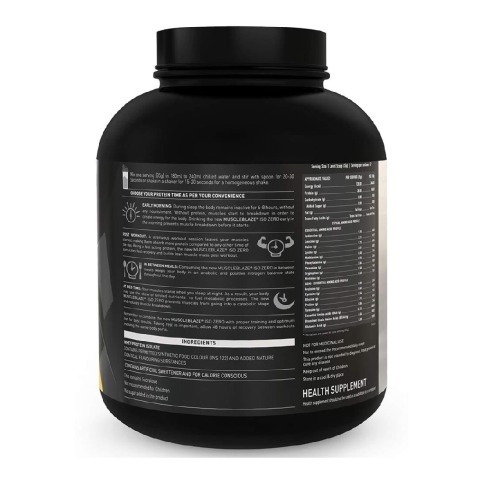 The product has a superlative mix of naturally occurring EAAs, BCAAs, and Glutamic acid to aid the muscle growth and recovery process. 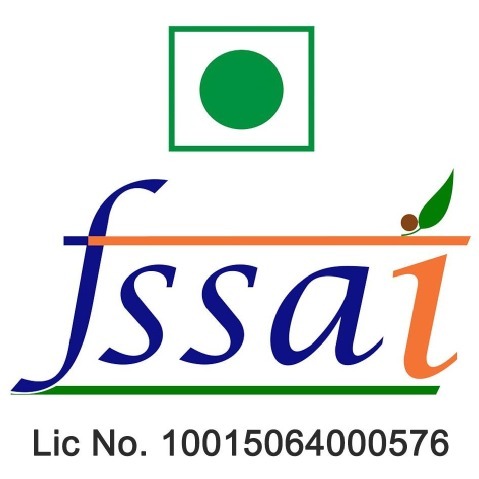 It is completely free from aspartame and any banned substance and aims at being your partner in reaching your bodybuilding goals. 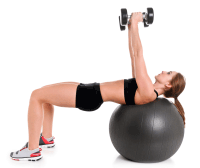 While on a heavy-workout regime, our body undergoes several changes and adapts to it and as a result, we get huge and tough muscle mass. The new MuscleBlaze® Iso Zero is crafted to provide 30g of pure protein and amino acids to fuel your body to maintain anabolism. The new MuscleBlaze® Iso Zero promises to deliver only what is best for you and your goals. With a clinically studied formula, we bring to you Iso Zero that has No added sugar, No Trans-Fats and is free from carbs, fat, and lactose. 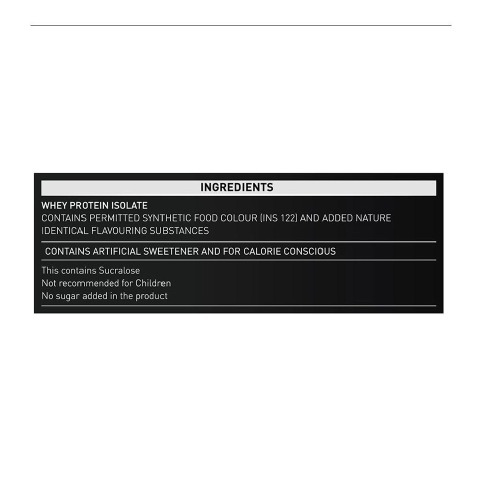 It also doesn’t contain any cholesterol thus the supplement is a pure push to fuel your muscles every day with clean protein and nothing else. 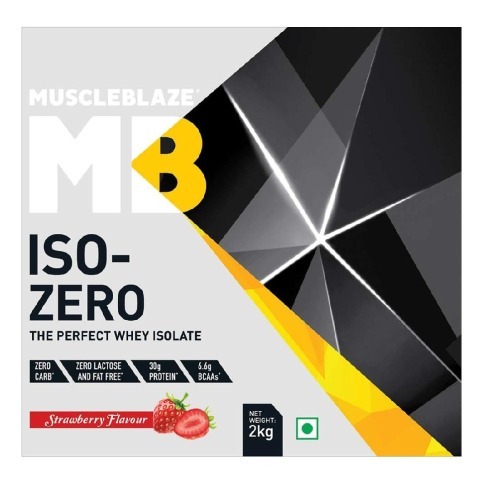 MuscleBlaze® Iso Zero provides 30g of protein per serving (35g) and the protein is sourced from high-quality Whey Protein Isolate. 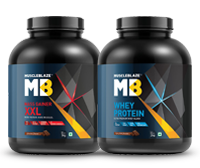 Whey Protein Powders are the building block of muscles and our diet alone cannot meet our protein requirement when aiming for gaining lean muscle mass. Iso Zero provides sufficient amount of protein to fuel your muscles followed by optimum diet and correct workout practices. 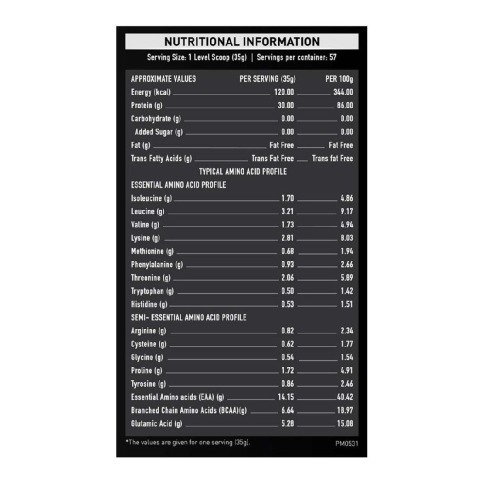 Essential Amino Acids do not occur naturally in the body thus we need to add them to our diet to provide our body with nutrients that boost muscle mass gain. Branched Chain Amino Acids prevent catabolism in the body thus protecting the muscles and boosts immunity to withstand the effects of ongoing physical and dietary changes. Mix 1 scoop of MuscleBlaze® Iso Zero (35g) in 180-240ml chilled water stir with a spoon for 20-30 seconds or shake in a shaker for 15-20 seconds for a homogenous shake.